Understanding how to train a puppy is just as important as knowing what to teach him and when and where to begin. 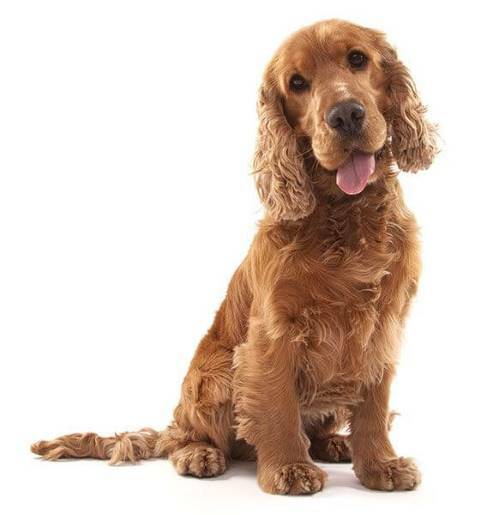 Follow these essential rules of puppy training to help you and your Cocker Spaniel get it right first time! 1: Begin Puppy Training Early! Your pup may have had a little training from the breeder (and his mom of course! ), but now you've brought him home, his training is your responsibility. Okay, so what's the best time to start your puppy's training? If your puppy is to develop to his full potential, and grow into a happy well-adjusted adult Cocker Spaniel, it really is important that you begin training your puppy immediately. So the answer to the above question is... 'The day you bring him home from the breeders!'. You won’t be able to turn back the clock, so don't waste any time! Read on to learn how to train your puppy. Tip number 2 for how to train a puppy is to make sure there are no distractions. To get the best out of your puppy, begin his training somewhere quiet, well away from distractions and where you won't be interupted. You need your Cocker to focus on you and you alone, and not be sidetracked by the sound of the television or the sight of other family members coming in and out of the room. As your puppy's training progresses, you can then begin to introduce the odd distraction to help reinforce and strengthen the commands you may be teaching him. Dogs are creatures of habit; they enjoy routine. Your new puppy's first night in his new home will be very scary for him (and for you if you’ve never owned a puppy before!) so I’ve jotted down a few ideas to help you both get through it. Setting up a firm routine will help your puppy to feel secure, and once he learns that certain things happen at certain times, he'll soon settle down and be less stressed and much calmer. Your puppy's routine will typically consist of sleeping, feeding, playing, as well as training (potty training, crate training and puppy obedience, etc) and most important of all socializing. Establish a daily regime for your new puppy and stick to it. 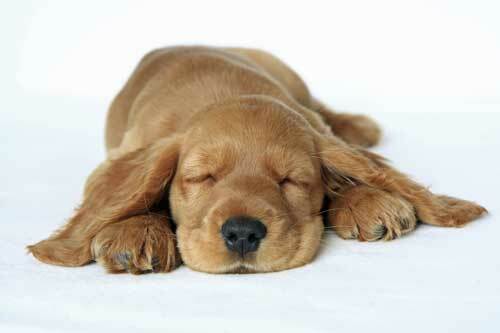 If you'd like to see a typical puppy care routine, simply follow this link. When you're learning how to train a puppy, it's important to establish and agree a set of ground-rules with your family and make sure everyone sticks to them. For example, do you intend to allow your puppy up on the furniture? Will he be allowed into all the rooms in your house, including bedrooms? Unless you set the ground rules now, and stick to them, your puppy is going to do whatever he wants to because he won't know any better...and that very often leads to getting into mischief! If this 'misbehavior' isn’t checked, it will soon become habitual and will be difficult to stop and/or reverse. Now is the time to teach your puppy how you want him to behave; give him boundaries and guidelines otherwise it's likely that he'll develop many inappropriate behaviors which will cause problems for you when he’s older. Here’s an example, you believe those little puppy teeth can’t do much harm, so what does it matter if he chews a little? Consequently, you let your puppy chew your old slippers or shred yesterday's newspaper, and don’t bother checking him or redirecting his chewing. Your puppy will grow up believing he can chew pretty much anything he pleases. You really don’t want this, not only is it dangerous, an adult dog can really do some damage to your furniture and possessions! I recommend you teach your puppy what he can and can’t chew now, before he gets any older. Positive reinforcement is where you reward your dog for his good behavior or for doing something that you've asked him to do. The thinking behind this is that if you reward your dog for good behavior he’s more likely to repeat that behavior because ‘nice things happen to him’ when he’s a good boy. Conversely, if he doesn’t get a reaction from you when he’s misbehaving or he gets his training wrong, or he get's a simple 'No' from you and no attention, he’s less motivated to repeat it. So, when you're training your puppy and he gets it right, reward him with a small, yummy treat, perhaps a morsel of cooked liver - that's Max's favorite! His reward doesn't always have to be food either, it can be a loving hug, enthusiastic praise or simply playing a game with him. The timing of your puppy's reward is important too. Wherever possible, reward your puppy immediately, but always within a second or two of the 'good conduct' that you want to reward him for. This will help your puppy to associate his actions with his reward and repeat his good behaviour because he's learned that it gets him a yummy treat! Your tone of voice can determine how your puppy reacts to you. If you don't believe me, try saying, 'Who's a lovely boy?' to your pup with a deep, firm tone of voice and then again in a happy, sing-song voice and see which one gets the tail wagging! When training or playing with your Cocker puppy, use a light and cheery tone (encouraging and loving), but if you need to ‘reprimand’ or correct him, use a lower, more firm tone. 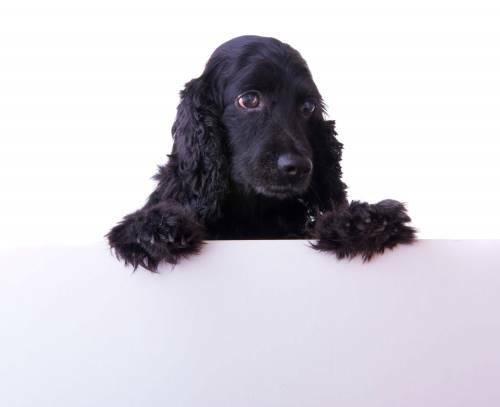 If you find your puppy isn’t listening to you during training try using a stronger, no-nonsense tone, but don't shout. I think you'll be amazed at the difference! 7: How To Train A Puppy? Consistency Is The Key! As with any training, consistency is the key! Always use your chosen word for each training command and make sure that all family members do the same. Be consistent with rewarding your puppy's good behavior too and always correct him should his behavior begin to slip. Never let him get away with unwanted behaviour. Inconsistency will only confuse your puppy and will slow down and hamper his training. It's important to choose a specific release word for your puppy. You use a command word to let your puppy know what it is you want from him, (for example 'Sit') and a release word will let him know that (in this case) he no longer needs to stay in a sitting position; a release word releases him from a previous command. I use the word, 'Okay' but you can choose whatever word you feel comfortable with, as long as you use it consistently. 9: How To Train A Puppy: Keep It Short, Simple And Fun! A young puppy's attention will soon begin to wander so it's best to keep your training sessions short and sweet to keep him interested and alert. You can repeat the sessions two or three times a day, but above all try and make it fun to keep him interested (and awake)! 10: How To Train A Puppy: Rinse and Repeat! When your puppy has mastered a command, don't be tempted to drop it completely as you move onto the next obedience training command. You may not need to practice it as much, but I recommend you continue to use it whenever you get the opportunity, to help make it stick. For example, ask your dog to sit before you feed him, sit before you put on his collar and lead, or sit before you allow visitors through the door. Practising newly mastered commands in this way not only reinforces his training and keeps it fresh, but it also helps to get across to your puppy that you are the alpha male. 11: How To Train A Puppy: Always End On An Upbeat Note! Last but not least, always end your training sessions on an upbeat note. If your puppy got it wrong, don't end the training session there, and don't reprimand him either, simply try again or use another command that he's already mastered so that you can end on a positive note by praising and rewarding him. This way, he's more likely to enjoy his next puppy training class tomorrow! Yes, I know the title says 10 Essential Rules of Puppy Training, but I always go the extra mile, so you ended up with 11! Last but certainly not least, you'll find some very useful tips on obedience training such as the sit, down and stay commands. Simply follow the link!